As we all know, customer feedback is essential to improving your product and to understand your users. However, every day, organizations struggle to collect valuable feedback, that’s why we want to talk about feedback forms. 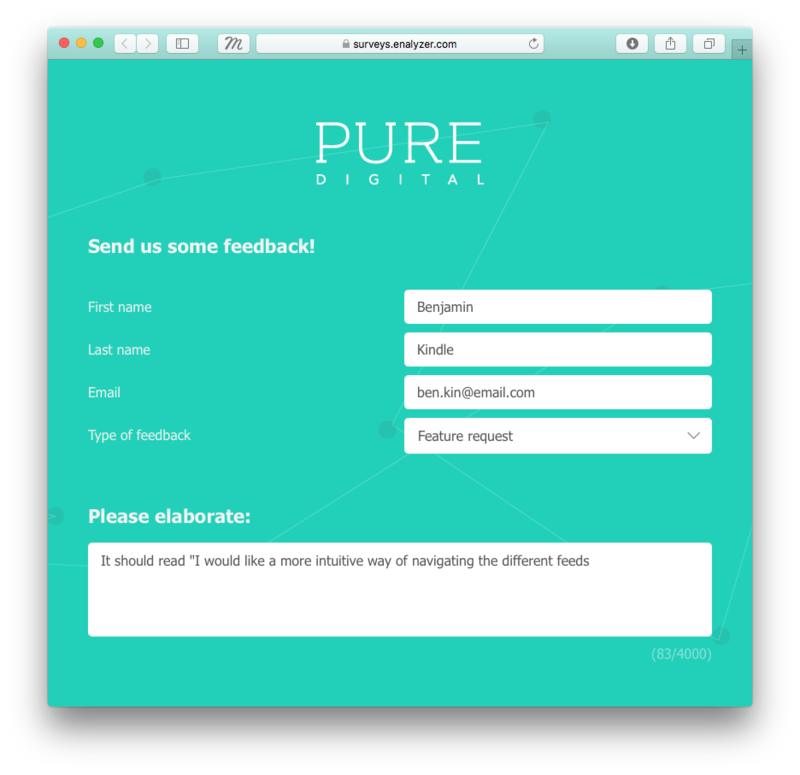 Feedback forms, when done correctly, are an excellent tool to understand user experience. They’re easy to digest and fill in, which also makes them easy to build and design. 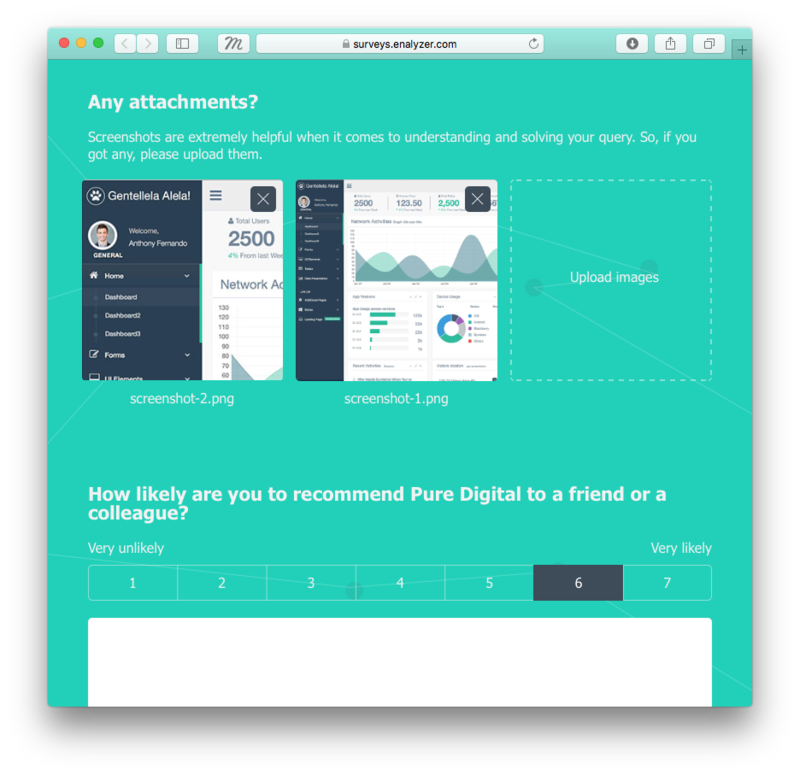 Here are 6 things to considering when designing and distributing a feedback form. Allowing respondents to upload screenshots straight from their mobiles, tablets, and desktops is a need to have. Not only will it be easier for them to explain themselves but you will also understand their feedback better. 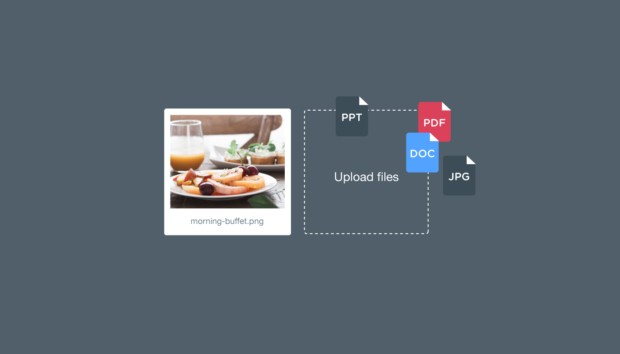 With Enalyzer, you’ll get an easy-to-understand overview of the uploaded images in your reports and raw data files. If someone is giving you feedback, they should provide you with all the relevant information, right? Yes, but the one deciding what qualifies as “relevant” information is the customer. Remember they’re using their time to help you out, in other words, they’re doing you a favor. If they don’t want to answer all your questions or simply don’t have the time, don’t force them. Nevertheless, if you need more information from them, just contact them and ask, this approach is better and will guarantee a higher response rate. Your users can come across your brand anywhere, which means they might be on their phone or tablet. Make your form accessible to them by ensuring its responsive and it resizes to any device it’s viewed on. Enalyzer is 100% responsive, not only for your respondents but for you as the survey administrator and whoever you share your report with, so you and your team can keep up with your feedback anytime and anywhere. Your product, service and/or website will always be developing and moving forward, so make sure your form adapts to these changes. Every once in a while, make sure that what you’re asking is still relevant and will provide you with an understanding of your user’s experience. Users that are going to report a bug, feature request or just general feedback don’t want to use too much time. They’re willing to share their experience with you but it has to be easy. Cluttered forms will turn people away since they look time-consuming, which makes everything worse if the user is filing a bug report. So what do you do? Keep it simple, uncluttered and easy on the eye – this goes for the design and content – and watch the feedback tick in! Feedback forms are like real estate, location is all that matters. Well, not exactly, but you get where we’re going with this one. Users are not going to spend their time trying to find your form, so make sure it’s in logical places within your app and website.